Lucas Premium 100 Car Battery, 12v 68ah Battery, Free Delivery. The Lucas Premium LP100 car battery has been made with calcium technology to provide high performance and an increased service life. The LP100 car battery is also maintenance free and comes with a 3 year warranty. 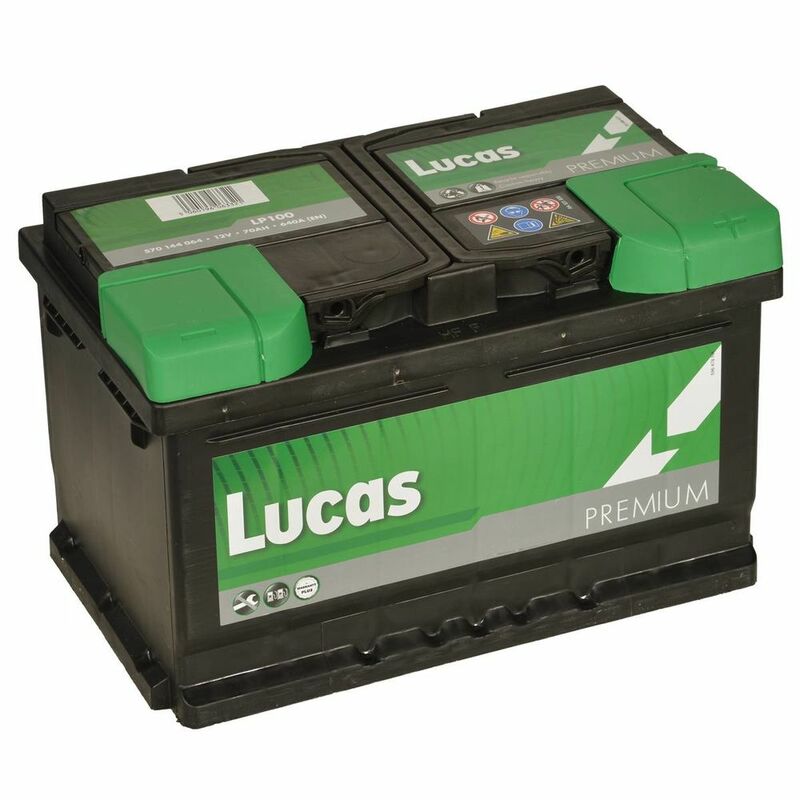 Please check the terminal layout and physical size against your old battery before ordering the Lucas Premium LP100 car battery. If you’re not sure of these, please contact customer services on 0845 459 3084.